The Environmental Protection Agency (EPA) rolled out restrictive new greenhouse gas emissions standards for new power plants at the end of September, but they are unlikely to have much of an impact on the nation’s overall climate change-fueling carbon emissions. Part of the Obama administration’s Climate Action Plan, the EPA's proposed new rules, if finalized, will govern only power plants that haven’t been built yet and affect primarily coal-fired power plants, few of which are likely to be constructed in the future. The U.S., which ranks behind only China for total coal consumption and production, reportedly had 36 coal-fired power plants in the planning or early construction stages by the end of 2012. The proposed rules are the first of two sets of power plant emissions standards the EPA is expected to roll out over the next year. The other set, expected to be announced in June 2014, is expected to govern carbon emissions from existing power plants — standards experts believe will go much farther to reduce emissions than the proposed rules governing new power plants. Allowed under provisions of the Clean Air Act, the rules released in September cap carbon emissions at future coal-fired power plants to 1,100 pounds of carbon dioxide per megawatt hour and 1,000 pounds of carbon dioxide per megawatt hour for new natural gas power plants. That won’t be difficult for natural gas power plants because the average gas-fired power plant emits about 800 pounds of CO2 per megawatt hour, the EPA estimates. The EPA expects coal fired-power plants to use existing carbon capture technology to ensure that new coal plants are dramatically cleaner than the average existing coal-fired power plant, which emits about 1,800 pounds of CO2 per megawatt hour. The technology the EPA expects new plants to install would be similar to carbon capture technology installed on coal-fired power plants across the country for more than a decade, capturing at least 50 percent of a power plant's carbon emissions, according to the EPA's proposal. 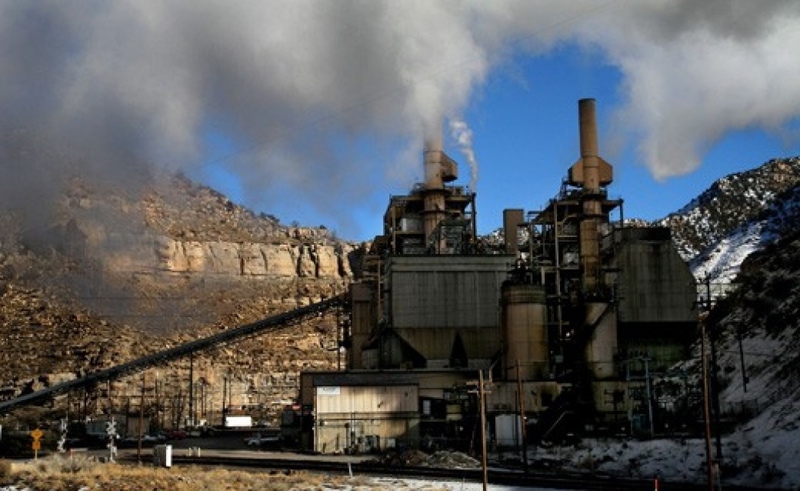 The proposed rules aren’t expected to apply to many power plants, however. 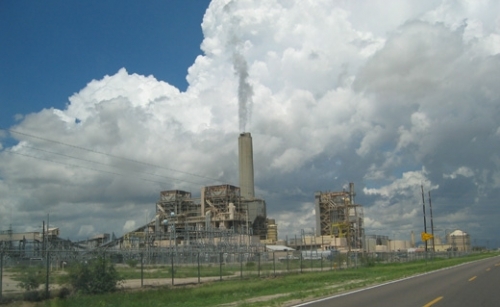 The U.S., which ranks second in the world behind China for total coal consumption and production, had 36 coal-fired power plants in the planning or early construction stages by the end of 2012, though the status of some of those plants were unknown, according to a 2012 analysis by the World Resources Institute. When the EPA announced the new plant emissions standards last week, the coal industry claimed it was another volley in an ongoing attack on coal from the Obama administration. Legal challenges to the EPA's proposed rules are likely to draw out the fight between the coal industry and the Obama administration well into 2014, but Burtraw said the courts have upheld regulations enacted under the provisions of the Clean Air Act numerous times before, suggesting that the EPA's emissions standards will also withstand any legal challenges from industry. But it will be the rules governing existing plants that will have the greatest impact both on emissions and the power plants that release them, Burtraw said. The effectiveness of the rules for new plants are dependent on the price of coal and natural gas, the economics of both suggest that little investment will be made in building new coal turbines in the coming years, said David Hawkins, director of climate programs for the Natural Resources Defense Council. The EPA is proposing to place the standard for new power plant emissions high enough to make building new coal-fired power plants an expensive proposition. “Under the price projections used by the DOE (Department of Energy) and EPA, almost no new coal plants are forecast to be built in the next 20 years,” he said. “Under this scenario, the EPA rule would prevent a new coal plant from being built without CO2 controls. If only a few coal plants are built, the impact of the new plant standard on total national emissions would be small. The EPA announced the proposed rule for new plants at a time when natural gas power generation is at a high point, primarily because of low natural gas prices. In April 2012, natural gas contributed an equal share of electricity generation with coal in the U.S. for the first time, an achievement made possible by the lowest spot prices for natural gas in a decade, according to an Energy Information Administration report published Wednesday. Use of natural gas for power generation was down 14 percent in the first seven months of this year compared to the same period last year because of spiking natural gas prices relative to coal, according to the report. Though natural gas use for power varies by region across the country, its use for electricity remains higher overall than before 2012. Though the EPA is proposing to place the standard for new power plant emissions high enough to make building new coal-fired power plants an expensive proposition, but something easily achievable for new natural gas turbines, the new rules may not give the already booming natural gas drilling and exploration industry much of an additional boost. Regulations on coal plants are driving demand toward natural gas, but it won’t likely lift the natural gas industry in the long term because investors in natural gas fields are wary that similar federal emissions regulations will eventually be turned on natural gas power plants, said William Fleckenstein, petroleum engineering professor at the Colorado School of Mines in Golden. He said he’s skeptical that carbon dioxide can be economically stripped from either coal or natural gas-fired power plant emissions. The EPA’s proposed emission standards for new power plants are available for public comment before the agency will begin finalizing them.